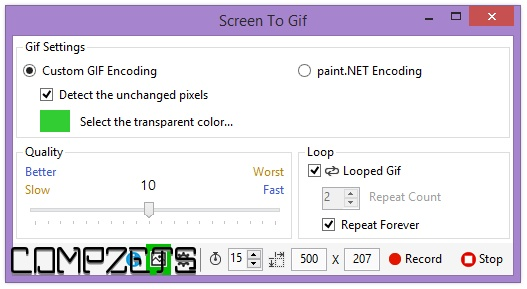 ScreenToGif is a free executable utility that records a screencast and saves it as GIF. Unlike Recordit, it doesn’t convert from an video format to a GIF, instead you record a GIF. 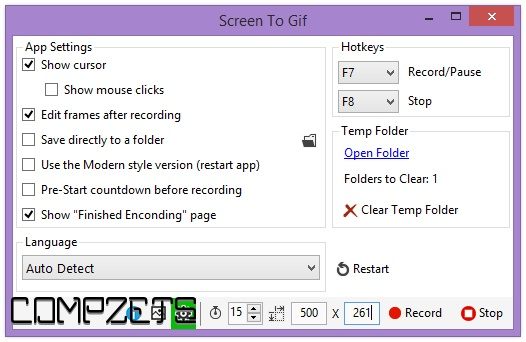 You select the frame rate and the recording area, and when you click record, it starts to capture the GIF. You can manage the playback rate, and choose to loop it and if that isn’t enough, the app also lets you add text to your GIF, insert title or image frames, and edit each individual frame. It is about as complete as a GIF making app gets and it’s fast. 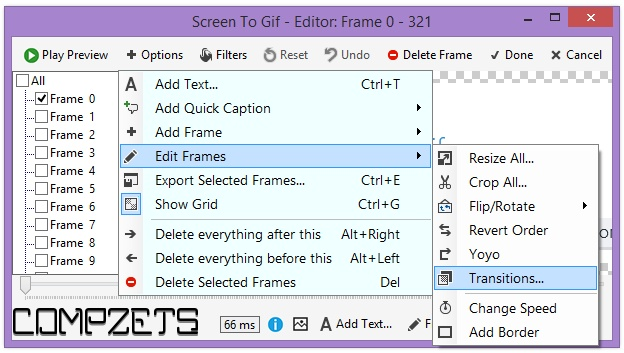 As a GIF maker, ScreenToGif is suited for quick feature demos; it can capture the mouse cursor when recording the GIF and also show mouse clicks. 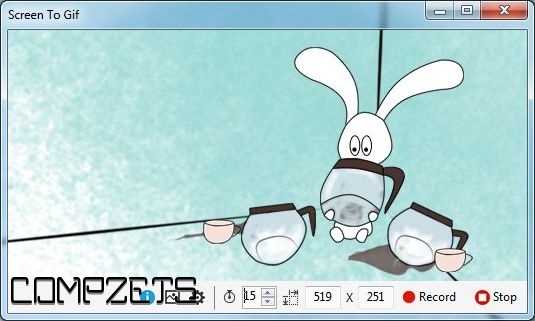 Launch the app and resize the window so that the area you want to record fits inside it. You can set a custom frame size down to the pixel using the tools at the bottom of the window. In the box next to the stopwatch, you set the frame rate. The higher the frame rate, the better the quality of the GIF. Click Record when you’re ready. Edit the frames, add filters, revert, make yoyo style, change frame delay, add border. Select a folder to save the file automatically or select one before enconding.